Anyone who wants to obtain a Commercial Driver’s License (CDL) in Maine must be at least 18 years old and be able to meet a few criteria. 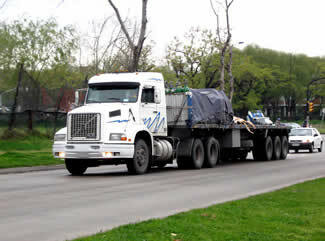 If an applicant wishes to obtain an interstate CDL, then he or she must be 21 years or older. Applicants must have a valid driver’s license without any DUI convictions within the past 2 years. A Maine CDL application can either be obtained online or from any office of the Bureau of Motor Vehicles. Applicants must complete the application and pay the corresponding fees. Fees include a $35 testing charge, $10 per endorsement change, and the license fee itself. All applicants will be required to take and pass the general knowledge test. A separate test is given for specific endorsements such as air brakes, school buses, and Class A combinations. To ensure that applicants are able to drive well, they must undergo a vision screening which will be conducted by an eye specialist. After passing the written examinations, those who pass will be issued an Instruction Permit and a Skills Test Request card. This permit is valid for 18 months, or 12 months for school buses. This permit will allow an applicant to drive a commercial truck with the supervision of a licensed driver. The supervising driver must be at least 20 years old or older. When the applicant feels that he/she has gained enough practical experience, then he/she can complete the Skills Test Request card and mail it to Augusta. Applicants will be informed of the time, date, and location of the road driving test. A vehicle of the appropriate class must be provided by each applicant. 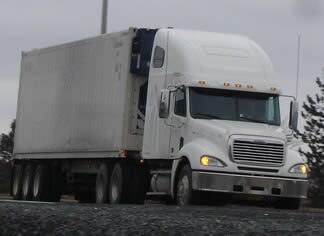 The test will cover pre-trip inspection, basic driving skills, and driving under various traffic conditions. If the evaluator finds the applicant capable of driving, then he/she will be given a CDL after paying the corresponding fees. Northeast Technical Institute offers an award winning, nationally renowned CDL truck driving training for both Maine and New Hampshire residents. Students can complete their CDL training in just 5 weeks with their full-time program or 10 weekends with their part-time program. NTI’s truck driver training program is designed to teach students safe operation of trucks, as well as a general working knowledge of the truck industry and its regulations. To submit a CDL training school to be included on this list please use our contact form found here. With your message please add the school name, address and contact details. This article will show you how to get a commercial driver’s license in Maine. The process of acquiring this type of license can take months to finish especially if you are after a Hazardous Materials endorsement. Thus, it is important to know beforehand what would be required from you before personally applying for the license. You have to know what are the particular state and federal requirements that you have to comply with in order to become eligible for it. In the state of Maine, the minimum age with which you can apply for a CDL is 16 years old unlike in other states. But, you still have to be 21 years old in order to drive on interstate. You also need to have a current driver’s license with a clean driving record if you are to pass the screening. Any conviction involving driving under the influence and other serious traffic offenses can cause you to be disqualified for the license. Hence, it is important to keep clean slate years before applying for this type of license in Maine. Next, you also need to pass a DOT medical certification and a visual examination as well. The DOT form can be acquired at any local BMV office or at an approved medical professional’s office itself. The physician will place his or her findings on the form and you will also have to undergo the visual exam. You need to have at least a 20/40 visual acuity in order to be eligible for the license. If you have lost the sight of one eye, you need to have the required visual range. If you are under a certain medical condition, the BMV may place some restrictions to your license. Once you have the DOT medical form, you can then proceed to apply for the written exam. For this, you will need to submit the form together with your current driver’s license, social security number, recent photo, and other valid IDs which shows your photo and signature. The written exam covers a general topic and you need to have a basic understanding of driving and road signs in order to pass this test. If you are looking for additional endorsements, they will come as a separate test. Once you pass the written exam, you will then be given a temporary permit to drive a commercial truck as long as you are with a licensed person. This is the time for you to practice truck driving and to master the skills that are required in it. Before the permit expires, you will need to take the actual driving test where you will be tested on pre-trip inspection, basic driving skills, and driving in various traffic conditions. It will be a good idea to read the Maine CDL Manual in order to get more thorough information about the test. If the evaluator finds you capable of truck driving, you will then be given a commercial driver’s license in Maine after you have paid for the corresponding license fees. You can visit this page to find the latest truck driving schools in ME that can train you on how to prepare for a Class A license.